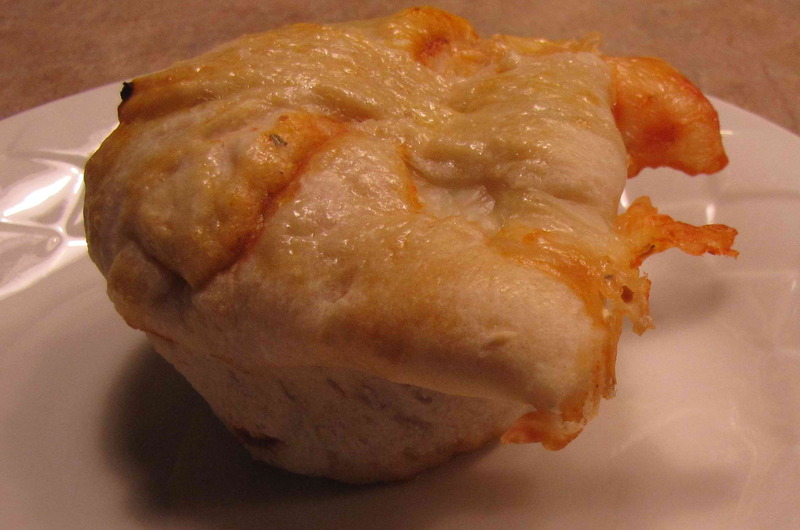 Cut or tear into squares and place in muffin man. Scoop sauce into muffin pan. Close up muffin with the dough. Dust the top of the muffins with the beaten egg. These were fun to eat and easy to make. 3 out of 4 kids liked it. 2/2 adults liked it. The one who didn’t like it hates meat sauce for some strange reason. He will eat pizza with meat and tomato sauce but does not like spaghetti sauce with meat. I tried telling him they were “Pizza Muffins” but he didn’t buy that. He put two and two together and figured out it was the leftover sauce from the night before. He ate it but wasn’t happy about it. Oven temp? How long to bake?